Visa, MasterCard, Discover, or American Express. Rush orders ship in 2 business days or less. Standard orders ship in about 10 calendar days. Delivery 2 to 3 days after shipment. Notification via email with tracking number upon shipment. The information on this page is based upon where you will ship your purchase. Deliver to the United States. 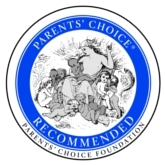 The Deluxe Custom Monsters won a 2010 Parents' Choice Recommended Toy award.